For competitive rates on Restaurant Insurance in Baton Rouge, New Orleans, Shreveport, and throughout Louisiana contact Jeff Davis Insurance at 337-824-4455. In last week’s entry, Tracy had a replacement cost assessment made on the building Pete intends to buy and determined that the replacement cost is estimated to be $1,000,000. She told Pete that insuring the building for this amount will mean a $27,000 premium for the year. Pete found this unacceptable, and implored Tracy to find another way. At Pete’s insistence, Tracy relents. “A coinsurance clause? What’s coinsurance?” asks Pete. “What’s the penalty?” Pete asks. “The insurance company will not pay the full amount they would otherwise pay for claims that do not involve the total loss of the building.” Tracy answers. “Exactly how big of a deduction are we talking about?” Pete asks. “Let’s use a coinsurance calculator to find out,” Tracy responds. Tracy opens an online coinsurance calculator and runs some numbers. “But my premiums wouldn’t be as high, right?” asks Pete, for clarification. “Well, yes, that’s right,” replies Tracy, with hesitation. How will things pan out for Pete now? Find out next week. 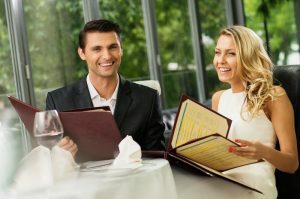 Baton Rouge Restaurant Insurance – We’ve Got You Covered. This entry was posted in Uncategorized and tagged Baton Rouge Business Insurance for Restaurants, Baton Rouge Restaurant Insurance, Business Insurance Baton Rouge, Business Insurance for Restaurants in Baton Rouge, Business Insurance for Restaurants Monroe La, Business Insurance for Restaurants Shreveport, Lafayette Restaurant Insurance, New Iberia Restaurant Insurance, Restaurant Insurance Baton Rouge, Restaurant Insurance in Baton Rouge, Restaurant Insurance Louisiana. Bookmark the permalink.